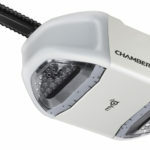 Garage door openers are simple devices which provide dozens of features and have an extremely important role in today’s life. Obviously, they are used to open and close garage doors. 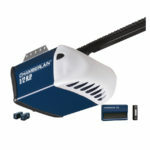 Because most homeowners have garages, they require garage door openers. Yes, you can simply order one today, but before doing so, you will want to know something more about these devices. No, they are not as simple as you may believe. 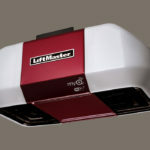 If you are in a hurry to quickly choose best garage door opener visit the link and read our best garage door openers reviews and buyers guide. 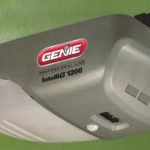 Did you know that the first garage door opener was introduced in 1926? It was developed by C.G. Johnson in Indiana, the United States. The first, commercial unit appeared on the market after the World War II and it radically changed the lives of most people. 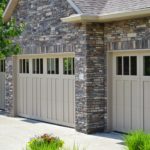 After it, there was no need to manually open and close heavyweight garage doors, each time when you want to park a car inside or to go somewhere. 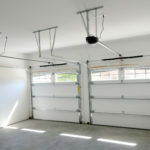 All garage door openers use springs on the doors and counterbalances in order to work properly. Basically, this is the same as on manually controlled doors, where the user will have to lift them using help of the aforementioned features to open them. 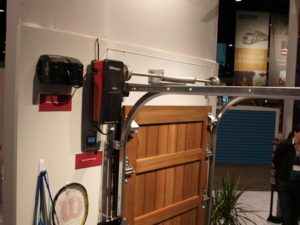 A garage door opener does the same thing, but with the help of an electric motor and a drive system. How it actually works will be explained more, further below. 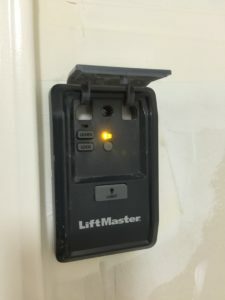 In order to use a garage door opener, a user will have to press a button on the wall console or to use a remote controller. There is one, the important thing to know about remote controllers. Due to the fact they are extremely important, we decided to explain this fact at the early beginning. The main difference is in the frequency a remote controller uses to link to the garage door opener. In the beginning, they were less sophisticated, therefore burglars were able to ‘’crack the code’’ and open your garage doors. Here is the list of the technology improvement. 300-400MHz- This technology was used between 1984 and 1993 and it was very insecure. 390MHz- It was used between 1993 and 1997, and there were billion code combinations, making it safer than the previous type. Rolling code- 1997-2005 was the period during which this technology was used. A rolling code means that a new code is used every single time when a user opens or closes the door. 315MHz rolling code- This tech has been introduced in 2005 and it is still present, although isn’t ideal. Rolling code 2.0- It was developed in 2011 and it is still the best alternative. It uses all the frequencies we have mentioned earlier. 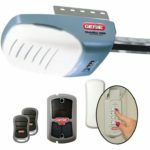 Thanks to these technologies, garage door openers cannot be opened by thieves and burglars. This was mostly solved in the 90s, in the period during which garage door openers were insecure. 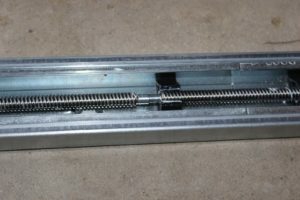 Chain-drive garage door openers- These models use a chain in order to pull a carriage which is linked to the J-arm, attached to the garage door. Yes, they are affordable, but they may generate more noise than usual. This isn’t great when your bedroom is above a garage. 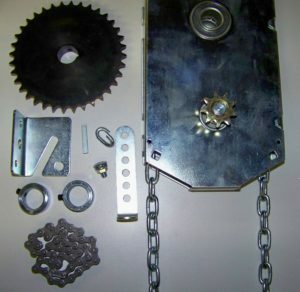 Belt-drive- Here we have a similar type, but instead of a chain, they feature a belt. These belts are made from polyurethane or even rubber which is reinforced with steel. So, belt-drive models are also safe and reliable. They are considered as a bit more sophisticated type, so they cost more. Also, they generate far less noise while operating than the first type here. Screw-driven- They are a bit rare nowadays. In essence, an electric motor is linked with a threaded rod which opens and closes the door. As such, an electric motor will rotate the rod. However, in areas where temperature oscillations are major, this type isn’t desirable. There are some issues with the functionality. 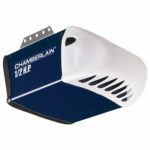 They are the fastest garage door openers. They can open and close doors at a speed of 12 inches per seconds, compared to other models which reach 7 inches per second. Jackshaft openers- They may be more expensive than other types, but they are extremely quiet and reliable. 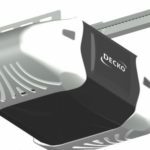 An electric motor will be installed on the wall, rather than on a ceiling, so you get additional space. They feature a pulley and cables to open and close door. Direct-drive- The name refers to the process of opening and closing the door. 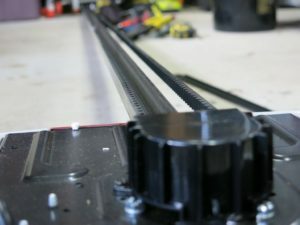 Instead of moving components, the electric motor will slide over a rail and open or close the door. They also use a J-arm and a carriage, but the method is slightly different than in a case of chain/belt models. 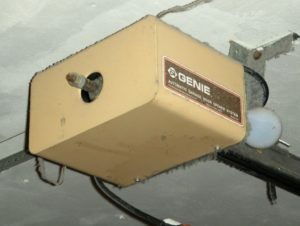 Direct-drive garage door openers were developed in Germany and they are the most expensive of them all. There are some differences in the electric motors. The power is an obvious one, but keep in mind that some units feature AC, while others use DC motors. DC units are recommended, due to the fact they are more reliable, durable and energy efficient. Also, they can be paired with a backup battery. All of these devices work on the same principle. 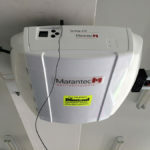 Yes, there are differences, regarding the type of a garage door opener, but all of them have electric motors and additional components which move the door. Here is a simplified explanation how they operate. 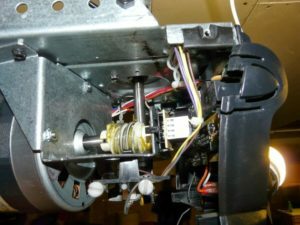 An electric motor is located in operator unit. 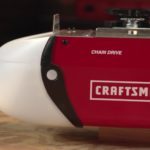 It will move chain, belt or use a direct drive to move J-arm. J-arm is directly paired with torsion spring and garage doors. As an electric motor pulls the J-arm, it will pull the doors. Door will be located beneath the ceiling. The closing procedure is simply performed in the opposite way. Although this is the main way how these units operate, there are additional components, which affect the operation. Some examples are safety sensors which will prevent door closure, others include automatic door closing and etc. 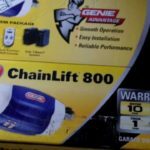 All of the garage openers work on this principle, except jackshaft models, which use cables and which are located on the walls rather than on a ceiling. 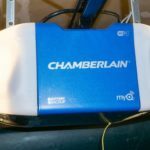 Purchasing a garage door opener isn’t as easy as you may believe, but if you know the facts from below, this task is much easier. The first thing to consider is the type of a unit. We have already explained them and their advantages, so you should go back and decide which type you need. 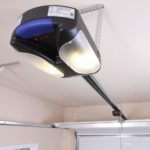 ½ HP- These garage door openers are treated as standard units and they are capable of lifting the most garage door used today. ¾ HP- A more powerful version, recommended for the heavier They are also recommended for wooden garage doors. 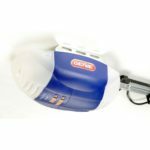 1 HP- The most powerful garage door openers. They are used for industrial-size and weight garage doors. A related advantage of more powerful electric motors is in their reliability. Those with 3/4 HP and 1HP are more durable simply because they use less power to complete a task. There are additional features which need to be considered. Some technologies like rolling code, lighting, safety sensors and remote controllers with 2 or 3 frequencies are almost standard, so all models already have them. Here are less known features you need to consider. 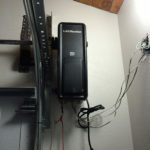 This system allows you to control garage doors with your voice. For example, you can use Alexa system made by Amazon. 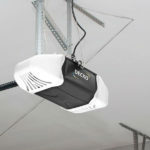 Garage door openers which are Wi-Fi enabled can be controlled from anywhere in the world via a smartphone or a tablet. All you need is a smart device and a compatible unit. This feature simply makes your car a smart device, allowing you to open the door from a car. HomeLink is a system commonly found here and it supports almost all, newer vehicles. The system here will permanently lock your garage doors while you are absent from the house. Only the homeowner can open them, making your garage safe while away. 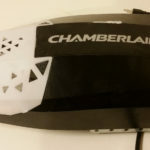 This feature will eliminate the risk of the possibility that a stolen remote controller open your garage. It isn’t very common, but it is important. 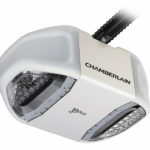 Garage door openers are something that most homeowners have or will have any time soon. They are a necessity rather than something you may need and as such, they are more than just desirable. There are a lot of different types, with different features and different power outputs. 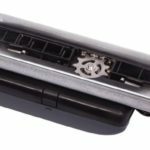 We have defined all of them, meaning that now, you are ready to choose a garage door opener which suits your requirements perfectly. After that, all you have to do is press a button and your garage door is open or closed.